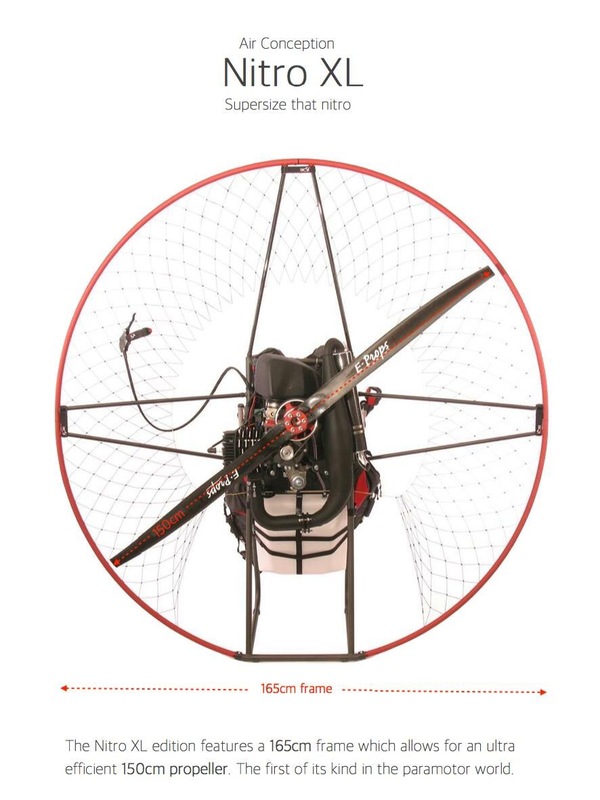 Air Conception the paramotor company which rocked the PPG world a couple of years back with the popular Nitro 200 engine have expanded their engine family with a larger more powerful unit. The Tornado 280. Air Conception known for light weight paramotors, unable to find a suitable reliable engine with the same goals as saving weight. they took it upon themselves to produce their own engines. First the Nitro and now the Tornado, keeping with the light weight theme of their paramotors this engine is another example of what is possible. Two Tornado engines both electric start, both belt drive. One is direct belt drive the other has a dry clutch. Tuned for a linear throttle response something Air Conception pride themselves on is engines which are flyable with a full rpm range and not just chasing max thrust numbers, a concept appreciated by their pilots. Still this engine kicks out some serious power. First up the spec, 268cc. 2 Stroke. 33hp @ 7500rpm, bore and stroke 73×64. That is one fat piston. The complete engine weights are 12.9kg for electric start or 13.5kg for clutch electric start. The power to weight is beyond any other engine currently on the market which is quite an achievement. Only available in the Air Conception paramotor package, there is a choice of 3 frame sizes 2 frame types. 140cm/150cm/165cm with props ranging from 125cm up to 150cm and thrust figures ranging from 80kg to 95kg depending on prop configuration. 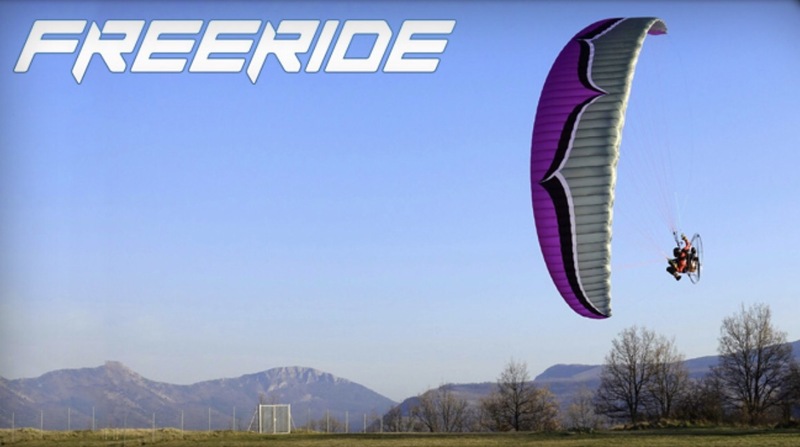 As a complete package the light weight design translates into a titanium paramotor of 21.4kg with electric start, 3 bade carbon prop, full harness. Thor 80 is Polini’s new mini 2 stroke paramotor engine is compact in size, liquid-cooled. The Thor 80 weighs 12.5kg. It is liquid cooled, not unique in the paramotor world but this one has a forced air cooled radiator. See the diagram below, engine mount layout is per other thor engines 130, 190, 200. This one has a plastic shield ducting air from an internal fan behind the starter up through the radiator, allowing for the radiator to be kept tight and tidy behind the pilot. Measuring 41cm wide x 54cm high & 30cm deep is it compact, especially given it has a radiator. The engine comes with Polini own CP d.21 carburetor or it can be ordered with the more familiar Walbro WG8 carburetor. A dry-centrifugal clutch, with 3.58 gear reduction with helical teeth in oil bath. As this engine has a clutch and gear reduction it is also flash starter equipped. Thrust test video suggest 55kg with 130cm prop. The liquid cooling will aid in economy and we expect the little engine to be fairly frugal.